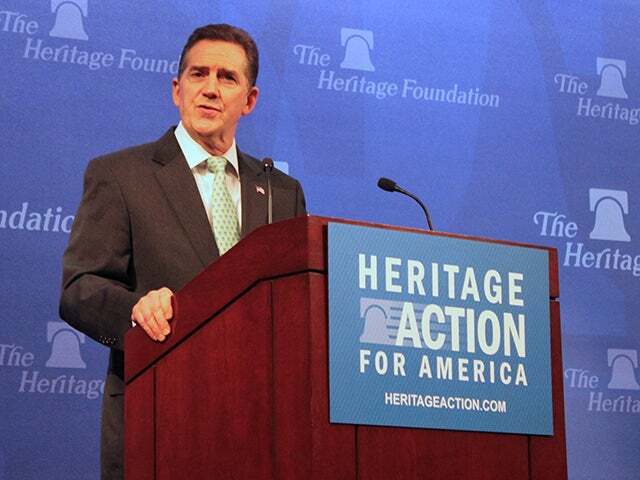 Heritage President Jim DeMint delivered the following remarks at the 2014 Conservative Policy Summit, sponsored by Heritage Action. Sometimes it seems too easy to caricature conservatives as people who are more interested in stopping bad policies than promoting good ones. I know that’s not true. But I suppose at times it is tempting to just sit back and be snide about the many failures of modern liberalism and big government. With examples like Detroit and Obamacare, they make it too easy. But even with such easy fodder, we can’t give in to this temptation. We are conservatives first and foremost because we know that conservative ideals — brought to action — will help people the most. We have the concrete solutions to build upon the successes of the past and realize the potential of the future. Crucially, much of this requires cleaning out the cobwebs and rust, which have gathered in too many federal laws, an antiquated federal tax code and a regulatory regime that cannot address America’s current challenges. In short: it’s time for real progress. We all want progress. But progress means getting nearer to the place where you want to be. And if you have taken a wrong turn, then to go forward does not get you any nearer. If you are on the wrong road, progress means doing an about-turn and walking back to the right road; and in that case the man who turns back soonest is the most progressive man. Unfortunately, there is nothing “progressive” about the progressive establishment. It cannot turn around: it is blocked by a Berlin Wall of the mind, trapped behind policies that promote subsistence, not independence; control, not freedom, and the endless gray concrete of centralized power. The men and women who will shortly take this stage have looked over that mental barrier and seen a new landscape, one where problems are solved, not subsidized; one where citizens are entrusted with the care of their own families and communities; one colored by opportunities as diverse as the millions of lives in this great nation. Today, we’ll be looking at the PATH Act, which Representative Jeb Hensarling has introduced to dissolve the bumbling Fannie Mae and Freddie Mac and encourage private investment and innovation. We’ll see the Transportation Empowerment Act, introduced by Representative Tom Graves and Senator Mike Lee, which lowers the gas tax, cuts red tape, and returns funds and decision making back to the same localities that know best how to handle them. Senator Lee is also going to reintroduce the Welfare Reform Act along with Representative Jim Jordan, which not only saves taxpayers hundreds of billions of dollars, but puts social assistance back on track: getting people into jobs and out of poverty. We’ll be hearing about the HERO Act, which takes school accreditation out of the hands of federal bureaucrats and puts it at the state level, while lowering the cost of higher education for students across the nation. Representative Raul Labrador will walk us through the Marriage and Religious Freedom Act, which enjoys broad bipartisan support, and prevents government discrimination of any person, church, business, or other institution based on their traditional view of marriage. These policies do not arise from the lobbying of special interests; they are for the benefit of all Americans. They were not designed to serve those who walk the halls of power, but those who sweep them late at night. If conservatives in Congress wish to return to their seats this November with a mandate from the people, the ideas presented today will help secure that mandate. It’s not sufficient for conservatives to run against agendas; they must advance ideas and legislation that will build a stronger America. 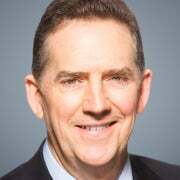 A mandate to lead without a plan, without a proposal, without original legislation, is no mandate at all; it is simply a continuation of a broken, deadlocked status quo. Already, there are rumblings of huge, contentious pieces of legislation we might see in the coming year. These bills, as ever, treat the law like a club, with which 50-some percent of the country uses the law to bludgeon the other 40-some percent. Like the disastrous Obamacare initiative, they attempt to address an issue altogether in one grandiose action, legislation stretching into thousands of pages, unread by the very people voting on them. They invariably increase spending and our national debt and create more problems than they solve. They are divisive to legislators themselves. When enormous bills are rammed through Congress, it destroys any hope, any reason to reach across the aisle and cooperate on improving our system of government in ways that are agreeable to everyone. Perhaps worst of all, they divide our fellow citizens. It’s not just a matter of political disagreement—we’ll always have that, and I think we can always find a way to benefit from it. The unity Americans have with each other does not arise from quashing those communities with different beliefs or opinions, but allowing them to govern themselves according to those beliefs. And when so many different viewpoints and lifestyles and cultures are forced into one mold, resentment replaces love for one’s neighbor. Public affection turns into public enmity, patriotism into ambivalence. I ask the leadership of the House and Senate, regardless of party, to leave this ham-fisted approach behind. Instead of wasting time forcing the country into one-size-fits-all policies, take the opportunity to genuinely consider the ideas we discuss here today, and allow for open debate on these and other proposals which could improve lives of many Americans so easily and so quickly. I am confident that these ideas, if allowed to inform our laws and our way of governing, will make that first great stride toward the three things we all wish to achieve: a strong economy, a strong society, and a strong America. Let this be both our goal and our starting point: no matter our parties or philosophies, we can unite if we recognize we’re running in the same direction. This agenda to unite America has the promise to give aid to those disadvantaged by circumstance, opportunity to those trapped by bureaucracy, and protection to local values endangered by national meddling; these ideas can bring people together once more in appreciation for each other, their country, and, dare I say it, even their government.